The 'Rave New World' Topshop collection gets one in the party mood with their pattern clashing display of retro rock-and-roll inspiration. Trippy textiles, tie-dyed prints and kaleidoscopic color combos make for a stunning collection sure to fly off shelves. Whether channeling an edgy Joan Jett, a laid back Janis Joplin or a sultry Lana Del Rey, models pose as some of music's most memorable style icons. Showcasing flashy florals and pattern enriched outfit pairings, this vibrant lookbook stays true to the British retailer's chic street style aesthetic. 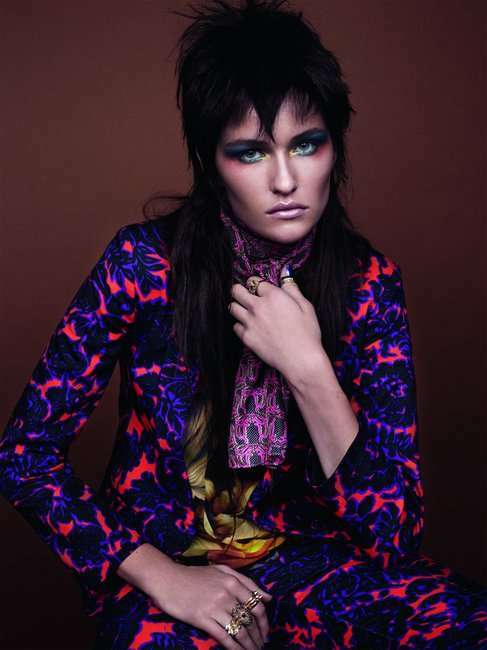 The Rave New World Topshop collection catalogue embraces color and print. From its neon backdrops to its rockstar resembling models, this rave-ready image series gets one in the party mood.